Zombies Don't Forgive, by Rusty Fischer is a Young Adult zombie novel. 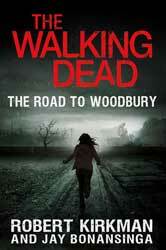 Not a young adult novel in a world where the zombie apocalypse has occurred. If you want that, go check out Eternal Aftermath. No, in this series the young adults are zombies. I must admit that I had been saving this book to read because it looked cool and I wanted to give it to myself as a reward, because I love the zombie thing. So when I found teenaged zombies living in a love triangle, I might have groaned like a zombie myself. Still, I figured I would give it a try. For a book staring undead it took a long time to get to any serious action. Over a hundred pages. The first conflict is them not liking Stamp's new girlfriend. So Maddy and Dane start spying on them. At least they really do act like teenagers, even if they have no pulse. A little action comes in later, but no too much. I kept hoping this book would step up in the action department a bit more. I have read a lot of YA fiction this year and some has risen above the genre and delivered some cliff hanger adventures. I will say that I liked the book more when Maddy was on her own and forced to use her wits to overcome the tricky situation they were lured into. I guess the thing that kept me from giving it more stars was that it seemed more like a young adult book with zombies thrown in than a horror novel that just happened to be about young characters. It was a fun read and quite comic in many places, which set more of a light-hearted tone. One might almost call this an undead action comedy more than anything else. I think younger readers might enjoy this relaxed look into this unique world of the functioning zombies. There is action, and people fight for their un-lives, but it is Maddy's tongue-in-cheek inner voice that makes the novel more enjoyable.